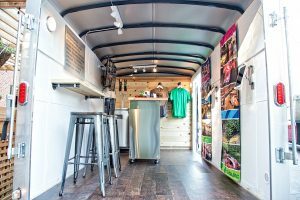 The Woodstock Convention and Visitors Bureau (WCVB) launched a new mobile visitors center in April. 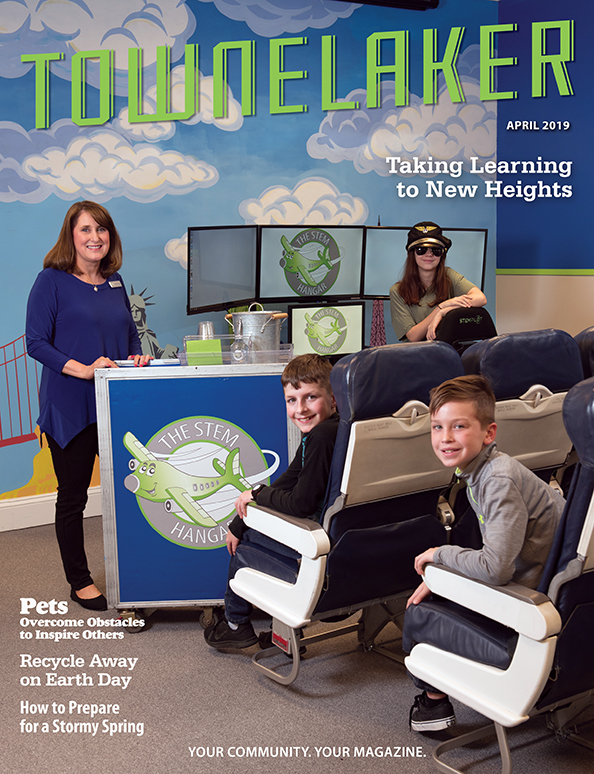 The staff converted a 14-foot enclosed trailer into a space to welcome and inform visitors locally and regionally. 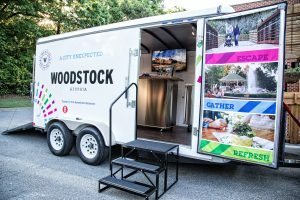 The mobile visitors center debuted at the 2017 Georgia Regional Visitors Information Center Conference that took place in Woodstock April 26-28. Tourism professionals from across the state joined in a ribbon cutting for the new mobile visitors center at an event at Reformation Brewery. 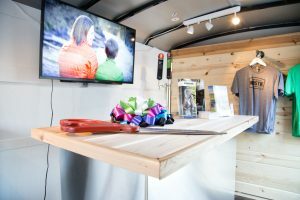 In May, WCVB staff traveled with the mobile visitors center, affectionately dubbed “Moby,” to an outdoor film event sponsored by the Georgia Department of Economic Development Tourism Division in Birmingham, Ala. 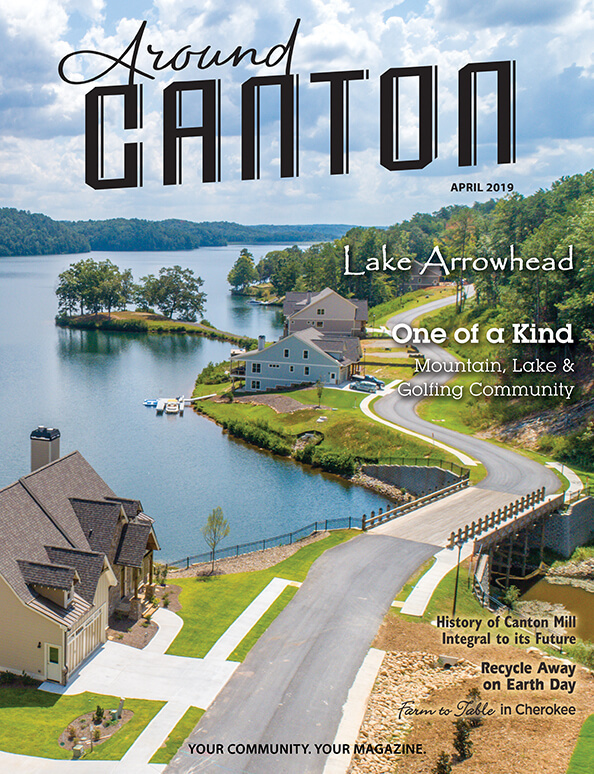 There are plans to take it to annual events at each of the Georgia Visitor Information Centers around the state. Director of Tourism Kyle Bennett is delighted with this new addition to the WCVB. 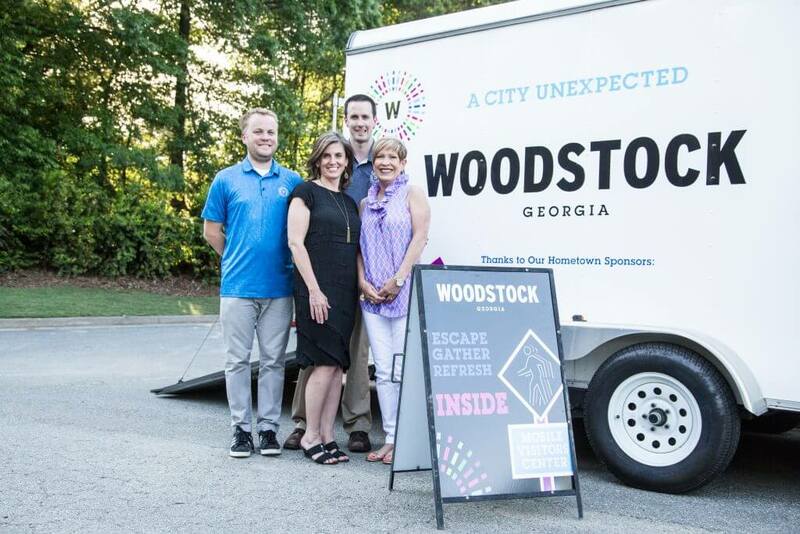 Look for the Woodstock Mobile Visitors Center to pop up on busy days around town at locations such as Rope Mill Park, Dixie Speedway and events at the new Northside Hospital Cherokee Amphitheater. Sponsorship opportunities are available. 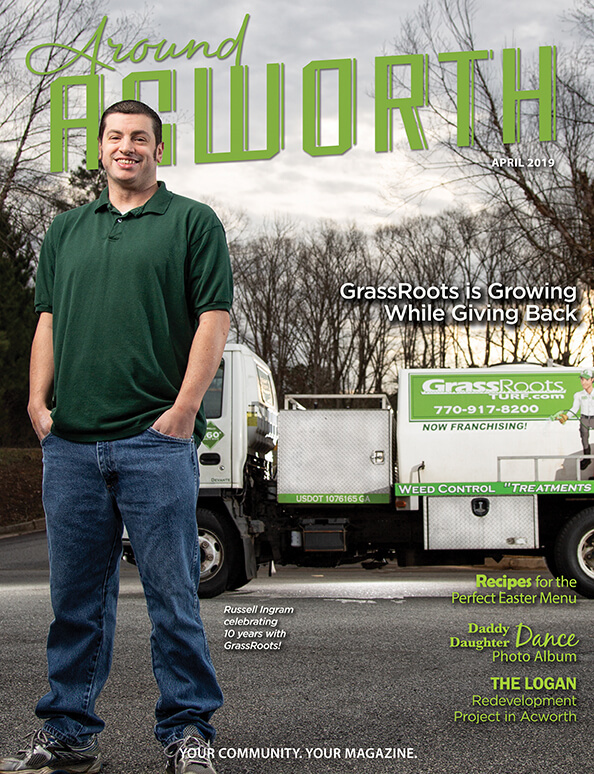 To learn more, contact Woodstock Marketing Coordinator Stacy Brown at 770-592-6056. Woodstock officials Brian Stockton, Stacy Brown, Kyle Bennett and Mitzi Saxon with the new mobile center.